Here again, La Vie En Rose aims for elegance & versatility! 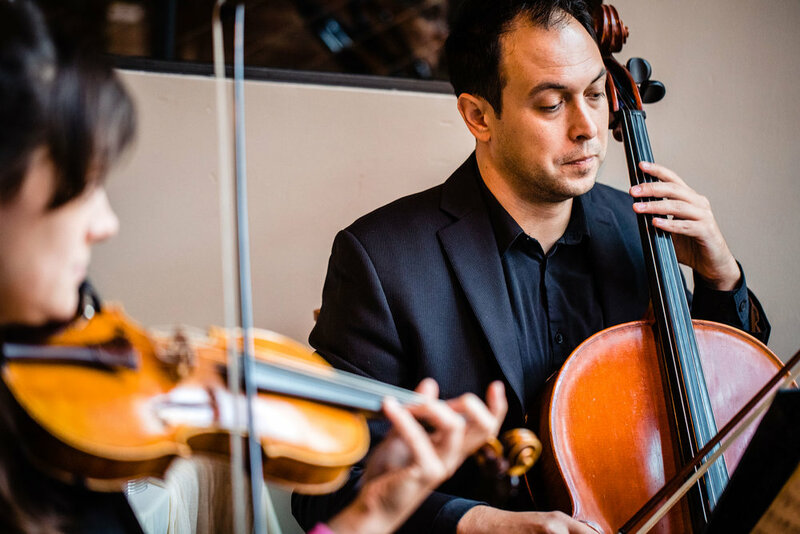 Our string soloists (Violin, Cello, Harp, Guitar) or combos (Duo to Quartet+Piano) will bring a warm touch to your wedding ceremony or private event. Walk down the aisle to the sounds of the Pachelbel's Canon in D or Christina Perri's "A Thousand Years", spice up your cocktail hour with upbeat light jazz/pop - our musicians can play it all! Happy to accommodate your choice of songs! 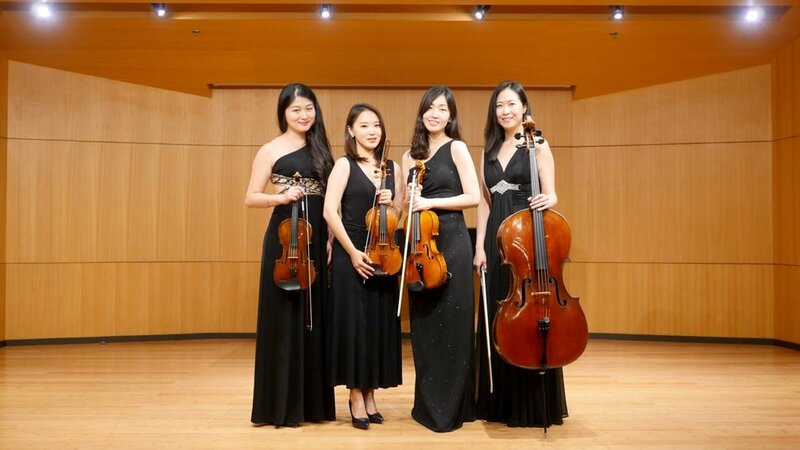 What instrumental ensembles does Pizzi Strings offer? Though the trio can play all of the standard wedding selections, the Quartet has a larger more versatile musical repertoire. This makes the ensemble more suitable for a variety of different occasions, such as wedding ceremonies, wedding cocktail hours, receptions, dinners and parties. It also ensures that when several sets of music are required the music will still be fresh and exciting. The Trio and Duo do not have the extensive arrangements of Broadway, Pop, Jewish and Latin pieces which are available to the Quartet. 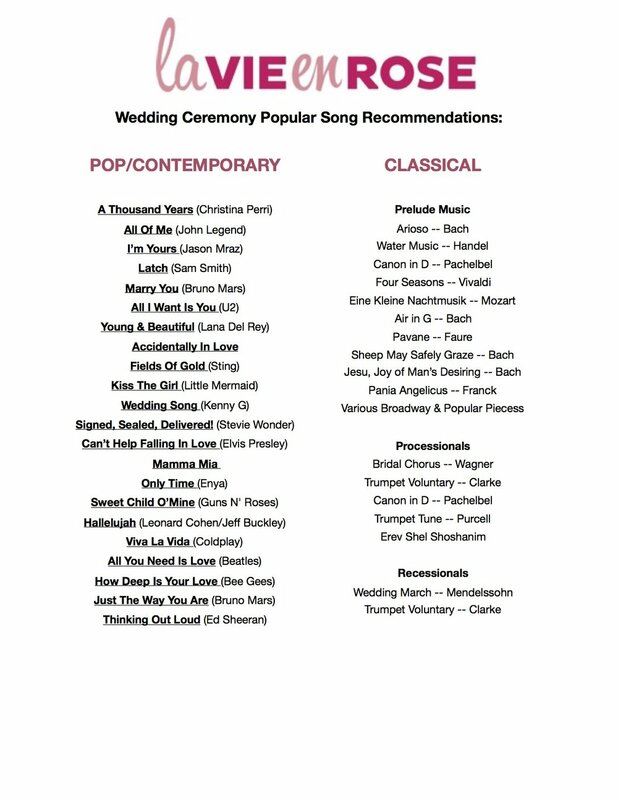 Using Pizzi Strings Music Suggestions and our on-line music samples gives you easy access to music that is both beautiful and appropriate for your ceremony. Our Wedding Music Planner can be filled out on line as you listen. If you can’t decide what is appropriate we will be glad to give you further suggestions by phone or e-mail. Music needs to be chosen and submitted through our online Music Planner one month before your ceremony. 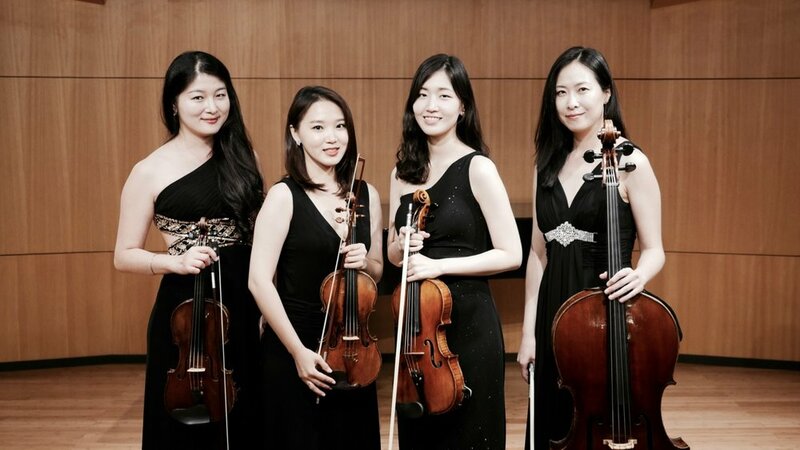 Each ensemble with Pizzi Strings has a large repertoire list that can be found through our "Repertoire" link in the top of this site. These pieces are a standard part of our music selections. We can add special requests for your event if the music is available commercially for the Pizzi Strings ensemble you are using. We try to accommodate all reasonable requests for your special music. This process does involve a significant amount of time to find the music, purchase the music (if needed), check arrangements, coordinate with and distribute music to the musicians, along with additional practice time to learn the music. There is a $30 fee per song for each special request that is not in our library along with separate cost of purchasing the sheet music or custom arrangement. Contemporary pieces that have not been arranged for a string group can sometimes be professionally scored for one of our ensembles. We have a professional arranger we can recommend and put you in touch with when the music is not commercially available for the group you are using. The cost for arranging will vary on the amount of time it takes to score the piece and the arranger will give you a quote directly for this. Please email booking@lvertalent.om and we will gladly discuss your needs. We usually do not attend rehearsals. For an additional cost we can arrange to have one member of the group attend, but it is an unnecessary expense. During the rehearsal you will not need music to practice the processionals. The rehearsal is for organizing the wedding party and showing them when and how to walk, stand and exit. The musicians are highly experienced at playing wedding ceremonies and do not need to rehearse. The most important thing we need when we arrive for your ceremony is an event coordinator or director who ran your rehearsal and knows how your wedding is going to work that day. This person will give us cues when the bridal party is ready to go. We will meet with them when we arrive the day of the wedding and set the timing and cues together. Yes, weather permitting, we do play outdoor weddings. We have many beautiful outdoor venues in the area and enjoy playing often at them. 1. Our main concerns are the safety of the instruments and the ability to provide quality music. This means that we must be in the shade. Musical instruments are easily damaged by severe weather, direct sun, rain and temperature, because of this we do not play outside in temperatures below 60 degrees. If temperatures are predicted to fall below 60 during your event you will need to provide an alternative heated inside space or possibly outdoor heaters that can maintain temperatures at 60 for all musicians during the entire event. If heaters are used outdoor temperatures lower than 55 can generally not be kept up at 60 with a heater unless you have an enclosed tent or structure keeping the heat in. Usually if it's too cold for us to play outside, it's too cold for your elegantly dressed guests to be outside and an alternative indoor setting is best. 2. We cannot play in the rain...even a little rain will damage our instruments. Have a back up facility or a tent with sides where we will not be hit with any blowing rain. If there is no shelter and we are outside and it begins to rain, we will have to put our instruments and music away immediately and take cover to protect all of our instruments and music. 3. If your rain back up plan is at a different address than originally contracted address we require two hours notice the day of the event to make the change. This way we do not travel to more than one location and all members are aware of the location change and plan their travel accordingly so that they are there as scheduled. The time of the event must stay the same as the original booking as we may have another event after this one. Any music played with a musician outside of Pizzi Strings may require rehearsal and a fee based on that rehearsal time. An estimate can be given for cost by phone. We also have a professional singer who can sing for your ceremony. Yes we can and enjoy staying to play during this time as long as it is booked in advance. We play for ceremonies, cocktail hours, receptions and any special event. If the reception is at a different location than the wedding, Pizzi charges for the full length of the service, including the time to travel between both locations. How far in advance should we book Pizzi Strings? How do we book Pizzi Strings? The first step to booking Pizzi Strings is to use our online contact form, or call 617-470-1640 or email us to see if we are available. If your is date open we will send you a contract by email which you can e-sign in with a 50% non-refundable deposit. We will hold your date for five business days, giving you time to send in the check and contract by mail. Once the deposit is paid, the balance will be due no later than the day of event. There is a late fee of $25 for payments received after the due date. We accept several forms of payment and prefer CC, personal check, cash, cashier's check or payments through Venmo, Paypal and Google Wallet. Tips are voluntary and not part of the total fee. Tipping the musicians is always very appreciated and should be based on the quality of service received at the wedding and leading up to the wedding. What is the dress attire for Pizzi Strings? Weddings outside of NYC area may incur additional travel charges. Please email or call for a quote. Who will I Work with for the wedding preparation? Violette from La Vie En Rose Talent will be working directly with you, giving help or guidance as you choose your music group and ceremony music. She will be preparing the music and getting all important information about your event to our Pizzi Strings musicians. The week of your event all musicians will be updated and sent a confirmation with your wedding date, arrival time, playing time along with the music needed for your wedding. On the day of your event each musician is sent a text reminder and checks in with Mary that they are ready to go. This personal attention ensures that the details of your event are completely communicated and ready to go for your special day.